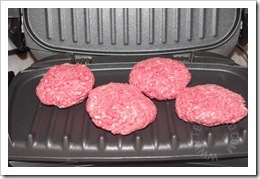 Years back, we had a George Foreman grill. We liked it, but it was very hard to clean. I could clean it while it was hot and burn my fingers in the process or wait until it cooled and have to scrub it more. 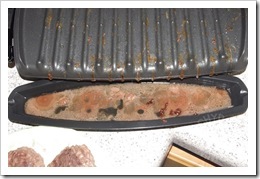 Eventually, the pain of cleaning the grill made us put it away for good. 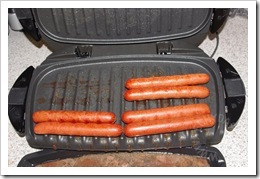 When I was given the opportunity to review the George Foreman Next Grilleration™ Removable Plate Grill, I was intrigued. Would it show improvement over its predecessor? 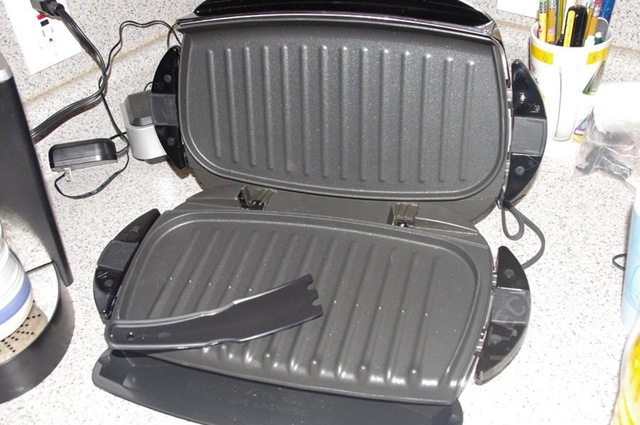 I unpacked the grill and quickly figured out how to remove the grill plates. It’s extremely easy. You just pull on the side tabs. 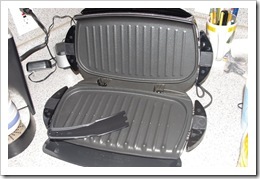 The grill plates then slide right off for easy cleaning. They’re even dishwasher-safe (though I cleaned mine by hand). Now, I can’t measure how much fat or calories that represents, but it definitely was fat/calories that we didn’t wind up ingesting. 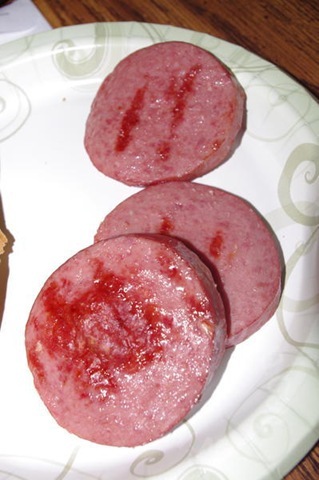 While I was at it, I also grilled up some hot dogs and salami. The grill did a pretty good job of cooking everything. 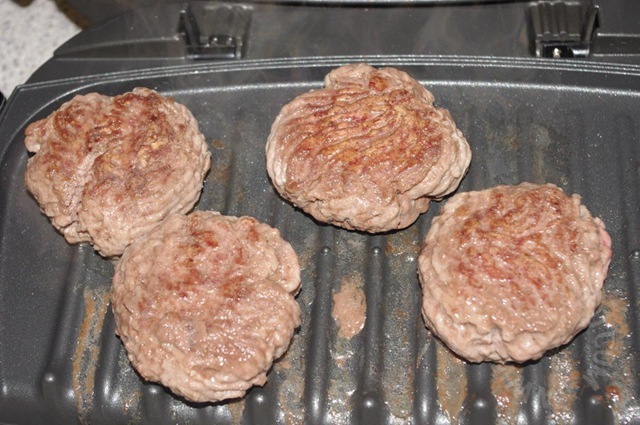 I did have some trouble with the burgers, but I think that was an issue of 1) me making the patties too thick and 2) me not knowing the grill well enough to tell just when to pull them off before they overcook. A bit more practice on it (and thinner patties) and I should be fine. 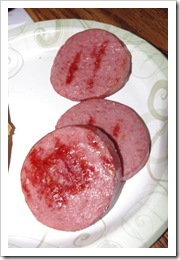 How was the cleanup? As I mentioned before, I opted to wash everything by hand instead of putting it in our dishwasher. (Mainly because the dishwasher was full at the time.) 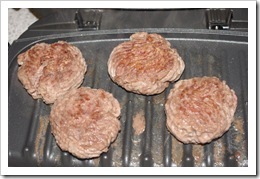 I let the grill cool and used the included plastic spatula to scrape off what little fat/meat bits remained on the grill. 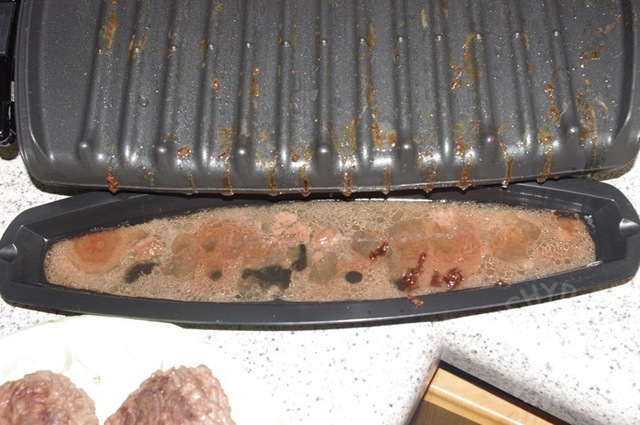 Then, I used a paper towel and dish soap to gently clean it. I was finished with both plates, the drip tray and spatula in about five minutes. Quick and easy. While I don’t think this will replace my charcoal grill during nice weather in the spring/summer, it will definitely augment my cooking options. 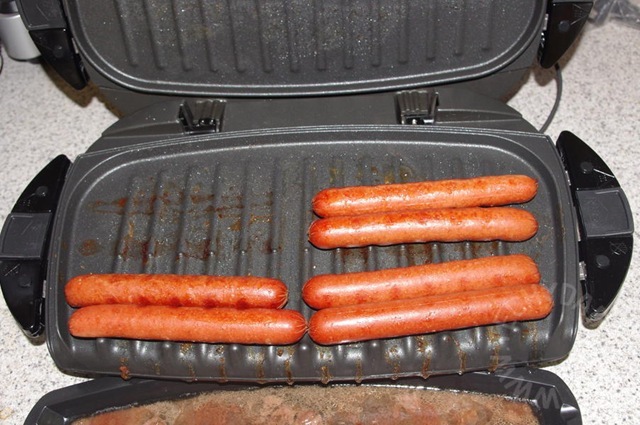 If it is hot outside, the kids want hot dogs, and I don’t feel like firing up the charcoal grill (or if it is raining outside), it will be easier (and cooler in the house) to toss a few dogs on the George Foreman grill than to preheat the entire oven. 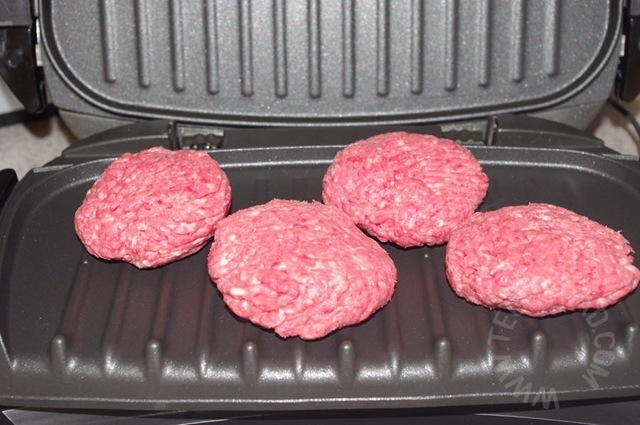 Disclaimer: This post was written for Family Review Network & George Foreman Cooking who provided the complimentary product for review in exchange for my honest opinions.